Product code: NS360 Categories: Modern & Retro Jewellery, Modern Earrings. These 18ct white gold millgrain set diamond cluster earrings are made in a style reminiscent of the Art Deco era. With such an elegant style to them, there is no doubt that they will always continue to be loved and admired. Set with one diamond in the centre and surrounded by eight more, there are actually four larger and four smaller diamonds making up this cluster. With an additional diamond on the top of the cluster. The total diamond weight for both earrings is 0.58 carats, and the diamonds are G in colour and VS in clarity. And then there is the beautiful millgrain setting. This technique goes back over 4,000 years and can be seen as the elegant crimping along the edge of the setting. This was a technique that was very popular during the Art Deco period of the 1920’s to the 1940’s. The cluster of each earring measures 8.4mm by 11mm to the top of the hooks. 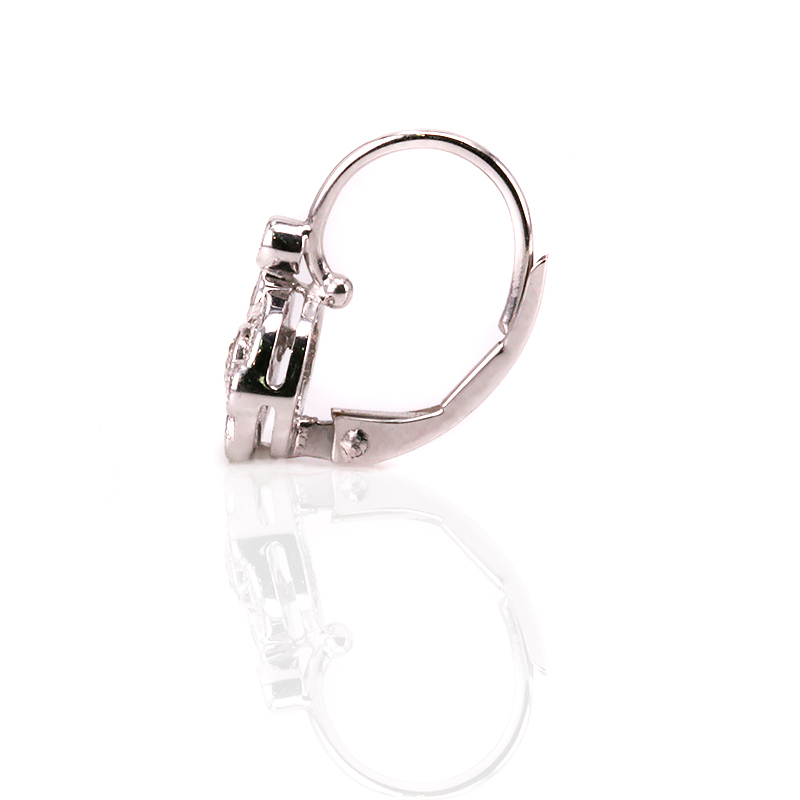 Fitted with very secure lever back fittings, these diamond earrings will make the perfect accompaniment to any outfit and are the perfect size to wear during the day and well into the night where they will continue to sparkle magnificently. 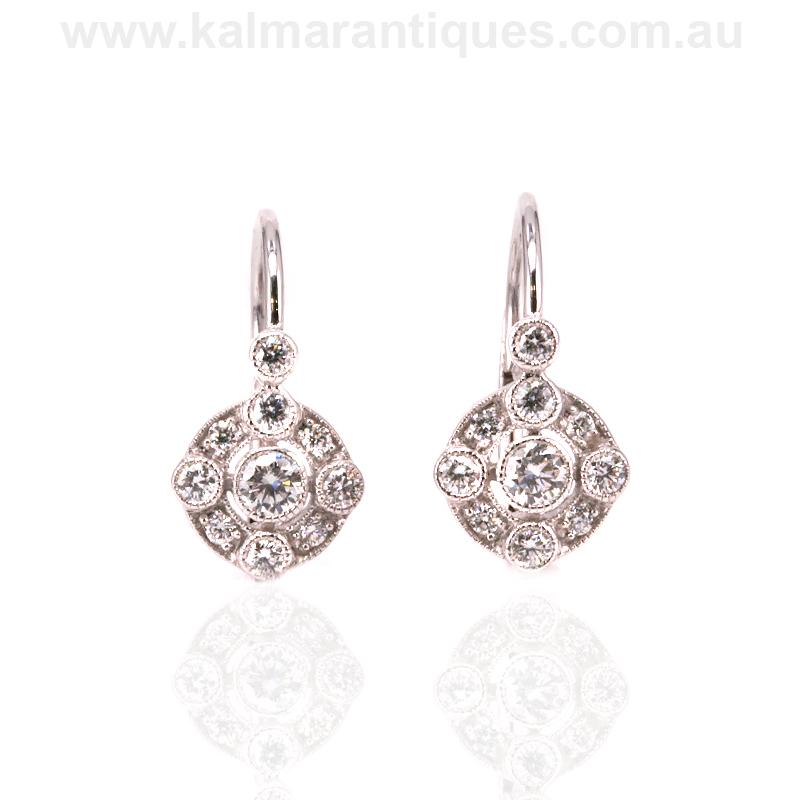 These 18ct white gold millgrain set diamond cluster earrings are made in a style reminiscent of the Art Deco era. Millgrain setting is the elegant crimping along the edge of the setting. This technique goes back over 4,000 years but in “recent” times was very popular in Art Deco jewellery of the 1920’s to the 1940’s.